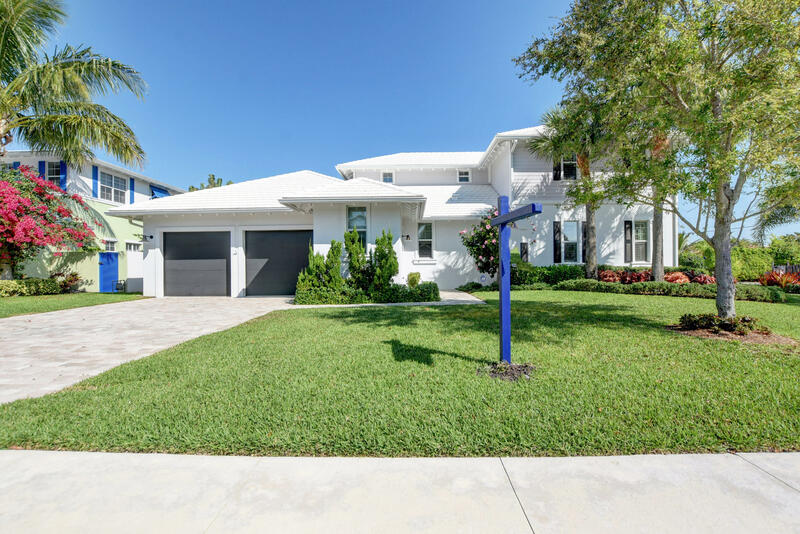 All North Del Ida Estates homes currently listed for sale in Delray Beach as of 04/21/2019 are shown below. You can change the search criteria at any time by pressing the 'Change Search' button below. "Stunning West Indies inspired transitional home built by Marc Julien in 2013. This striking residence, just a few blocks from Atlantic Avenue, exudes sophistication, relaxation and a love for the finest in Delray Beach living. The first floor features a large open chef's kitchen with natural gas stove, large center island and exquisite granite counters open to the family room. The kitchen features an exquisite tongue in groove finished vaulted ceiling. An elegant and practical butler's pantry leads to the Formal dining room. The first floor master bedroom suite overlooks the pool and features two large custom walk-in closets. Luxurious master bathroom with his and hers carrara marble vanities and standing tub."